This entry was posted in Greg Laurie Photos on September 23, 2018 by Web Dept. This entry was posted in B-Roll Video on August 7, 2018 by Web Dept. RIVERSIDE, Calif., Jan. 3, 2018 /Standard Newswire/ — Steve McQueen’s name is synonymous with the word “cool,” and for many years the iconic actor who starred in films such as Bullitt, The Magnificent Seven and The Great Escape, was the highest-paid star in Hollywood. However, few people knew that late in his life McQueen began a spiritual journey that led to his embrace of the Christian faith. McQueen’s little-known story unfolds in Steve McQueen: American Icon, coming to DVD and Digital HD on February 20, 2018 from Universal Pictures Home Entertainment. Presented by American Icon Films LLC, Erwin Brothers Entertainment (Woodlawn, Moms’ Night Out) partner with Greg Laurie and Harvest Ministries to tell the story of Steve McQueen you’ve never heard before! Narrated by Gary Sinise, Steve McQueen: American Icon features in-depth interviews with McQueen’s wife, model Barbara Minty McQueen, and also debuts her candid photographs from McQueen’s last years. Additional interviews include Academy Award-winning actor Mel Gibson, renowned stuntman Stan Barrett, celebrated McQueen biographer Marshall Terrill, actors Barbara Leigh and Mel Novak, and the pilots who taught McQueen to fly. In addition to the 110-minute documentary, Steve McQueen: American Icon DVD and digital bonus features include extended interviews with Mel Gibson and Barbara Minty McQueen, a special message from Pastor Greg Laurie, and an exclusive look at Steve McQueen’s famous 1968 Mustang GT from the movie Bullitt. Steve McQueen is one of America’s most endearing and intriguing movie stars. On the surface McQueen had everything he could want – fame, cars, homes, and more money than he could spend in a lifetime. Follow an avid fan of the actor, Pastor Greg Laurie, as he hits the road in his mint Mustang (a replica of McQueen’s car in the classic film Bullitt), traveling the country in search of the true, untold story of McQueen’s redemption-filled final chapters. Discover this amazing, true faith journey narrated by Gary Sinise. Steve McQueen: American Icon will be available on DVD and Digital. This entry was posted in Press Releases on January 11, 2018 by Web Dept. A Fathom Events presentation from American Icon Films LLC on Thursday, Sept. 28, 2017, at 7 p.m. local time; special encore presentation Tuesday, Oct. 10, at 7 p.m. local time and Thursday, Oct. 19, at 7 p.m. local time. October 10 tickets available now, and October 19 tickets available soon. The film goes deep into McQueen’s life through in-depth interviews with his wife, model Barbara Minty McQueen, and features never-before-seen candid photographs she took of Steve in his last years. Other interviews include Academy Award-winning actor Mel Gibson, renown stuntman Stan Barrett, celebrated McQueen biographer Marshall Terrill, actors Barbara Leigh and Mel Novak, as well as the pilots who taught Steve to fly. American Icon Films is a joint venture between Greg Laurie of Harvest Ministries and Erwin Brothers Entertainment. Greg Laurie serves as the senior pastor of Harvest Christian Fellowship in Riverside, California, one of the largest churches in America; is the author of more than 70 books; is the creator of three feature films; hosts the nationally syndicated radio broadcast A New Beginning; and is the founder of Harvest Crusades, a large-scale evangelistic ministry attended by more than 7.6 million people worldwide, both in-person and in stadiums and arenas across the world. Brothers Jon and Andrew Erwin make up Erwin Brothers Entertainment, best known for WOODLAWN, MOMS’ NIGHT OUT, OCTOBER BABY and the upcoming release I CAN ONLY IMAGINE (2018). Fathom Events is recognized as the leading domestic distributor of event cinema and ranks as one of the largest overall distributors of content to movie theaters. Fathom Events’ live digital broadcast network is the largest cinema broadcast network in North America, bringing live and pre-recorded events to 897 locations and 1,387 screens in 181 Designated Market Areas® (including all of the top 50). For more information, visit www.fathomevents.com. This entry was posted in Press Releases on September 28, 2017 by Michael Conrad. SYNOPSIS – STEVE MCQUEEN: AMERICAN ICON explores the life of one of America’s most enduring and intriguing movie stars. This inspiring story of redemption chronicles Steve’s exodus from the world of fame and fortune and his little-known search for meaning, truth and significance. The documentary unfolds as a gripping search for the untold story of McQueen’s final chapter, and the redemption he found in the skies above Santa Paula, California, as he learned to fly a single-engine, yellow bi-plane. STEVE MCQUEEN: AMERICAN ICON dives into McQueen’s life through in-depth interviews with his wife, model Barbara Minty McQueen, debuting candid photographs she took of Steve in his last years. Other interviews include Academy Awardâ-winning actor Mel Gibson, renowned stuntman Stan Barrett, celebrated McQueen biographer Marshall Terrill, actors Barbara Leigh and Mel Novak, as well as the pilots who taught Steve to fly. NEWS HOOKS – THE KING OF COOL DID WHAT? 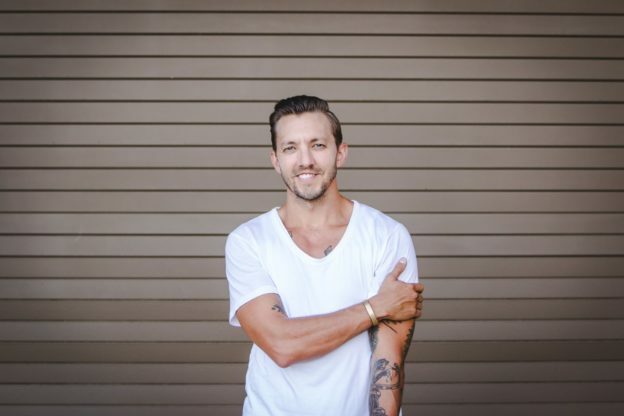 The founder and pastor of Harvest Christian Fellowship, with 15,000 people in attendance weekly, like McQueen, also grew up a lonely outsider. Laurie changed his life trajectory with faith in Christ as a teenager, and he felt an affinity for McQueen and stayed an avid fan. Greg drives a mint replica of the classic Ford Mustang from the film BULLITT. Ask Greg how a pastor identifies so closely with an actor’s painful past. 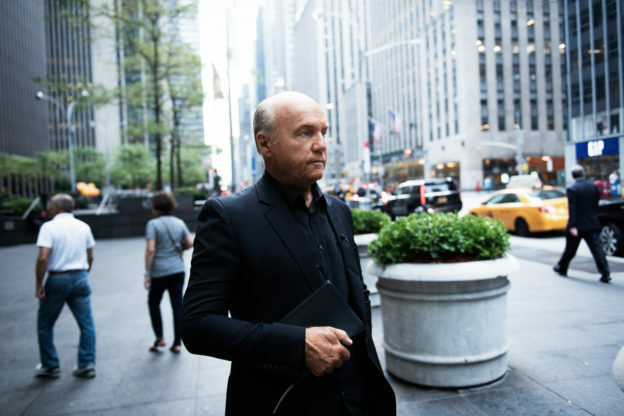 BIO – GREG LAURIE is senior pastor of Harvest Christian Fellowship, one of the nation’s Largest churches, with campuses in California and Hawaii. In 1990, Laurie began the large-scale public evangelistic event known as Harvest Crusades. Personal attendance and live webcast views for these events now exceed 7.6 million. In 2013, Laurie was honorary chair of the National Day of Prayer; he serves on the board of the Billy Graham Evangelistic Association. His nationally syndicated radio program, A New Beginning, airs on 800-plus radio outlets worldwide; he also has a weekly television program. Laurie’s 70-plus books include Live Love Fight, Tell Someone, Greatest Stories Ever Told, Hope for Hurting Hearts, As It Is in Heaven and his autobiography, Lost Boy. The accompanying documentary film, Lost Boy: The Next Chapter, won eight awards at international film festivals. His 2013 film Hope for Hurting Hearts features his story of trusting God through tragedy. Greg and Cathe Laurie have two sons, Christopher and Jonathan. Christopher went to be with the Lord in 2008. Greg and Cathe also have five grandchildren. Pastor Greg Laurie serves as the senior pastor of Harvest Christian Fellowship in Riverside, California, one of the largest churches in America; is the author of more than 70 books; is the creator of 3 feature films; hosts the nationally syndicated radio broadcast, A New Beginning; and is the founder of Harvest Crusades, a large-scale evangelistic ministry attended by more than 7.6 people worldwide, both in-person in stadiums & arenas across the U.S., Canada, Australia & New Zealand, and via live satellite broadcasts. This entry was posted in Press Releases on September 25, 2017 by Michael Conrad. RIVERSIDE, Calif., August 21, 2017 — During a week when the nation struggled to make sense of the hatred and violence perpetrated by white nationalists in Charlottesville, Virginia, more than 92,000 people gathered at Angel Stadium of Anaheim this past weekend, Aug. 18 – 20, to hear a message of hope and unity in Christ presented by Pastor Greg Laurie at his annual Southern California Harvest Crusade outreach. Another 46,972 attended the Crusade via a live internet broadcast. By the end of the three-night outreach, 10,071 people made decisions of faith, including those in attendance at Angel Stadium and those viewing the live SoCal Harvest program online. The Sunday evening program concluded with a time of prayer for the nation, followed by a fireworks display over the stadium as Brennley Brown sang, “God Bless America” and was then joined onstage for music by Phil Wickham, Jordin Sparks, and Danny Gokey. Also featured at the 2017 SoCal Harvest was Steve McQueen’s “lost” stunt car from the 1968 Hollywood classic, Bullitt, which was on display Saturday. The 1968 Ford Mustang—one of two stunt cars driven by Steve McQueen in the famous film—had been lost for nearly 50 years until it was recently discovered in Mexico, and holds particular interest for Laurie, who recently completed a book and a movie about the spiritual life of the iconic actor who died in 1980 from malignant mesothelioma at the age of 50. The movie, Steve McQueen: American Icon, will be shown in theaters nationwide on Sept. 28, 2017 as a one-night Fathom event. All nights of the 2017 SoCal Harvest were broadcast online, and 46,972 people watched live from 49 countries and in all 50 states. In addition, 209,000 unique views of the Harvest Crusade were reported on Facebook Live. The 2017 SoCal Harvest is archived and available for viewing at www.harvest.org. Harvest Crusades with Greg Laurie will hold its next stadium event June 10, 2018 when it brings Harvest America back to the Dallas Metroplex. MEDIA NOTE: For more information about the 2017 SoCal Harvest events, or to arrange an interview, contact Laura McGowan at (847) 347-5206 or at [email protected], or access the Harvest Newsroom at newsroom.harvest.org. This entry was posted in 2017, Press Releases on August 22, 2017 by Laura McGowan. Steve McQueen’s “lost” stunt car from the movie Bullitt will be on display at the 2017 SoCal Harvest taking place this weekend at Angel Stadium of Anaheim. The 1968 Ford Mustang—one of two stunt cars driven by Steve McQueen in Bullitt—had been lost for nearly 50 years until it was recently discovered in Mexico, and holds particular interest for Laurie, who recently completed a book and a movie about the spiritual life of iconic actor Steve McQueen. The Bullitt car will be on display under the helmets at Angel Stadium on Saturday, August 19 and Sunday, August 20 before and after the Harvest Crusade, and will tie-in to Laurie’s mention of McQueen’s story during his Saturday night message as he talks about the about the hope that is available to everyone through Christ, regardless of race, background, or walk of life. Local pastor and evangelist Greg Laurie will bring his annual Harvest Crusade outreach back to Southern California for the 28th year running this weekend, August 18 – 20. The 2017 SoCal Harvest will feature a nightly message of hope from Laurie and music from top Christian artists including Crowder, Grammy Award-winning hip hop artist Lecrae, Jeremy Camp, American Idol winner Jordin Sparks, Andy Mineo, American Idol finalist Danny Gokey, NBC’s The Voice finalist Brennley Brown, and worship leader Phil Wickham (artists vary by night). The Sunday evening SoCal Harvest program will conclude with a fireworks display. Media credentials for the SoCal Harvest may be obtained by presenting company identification at Angel Stadium of Anaheim on the field level near the third base dugout (enter the stadium at Gate 2). Media check-in begins at 4 p.m. each afternoon. Media coverage opportunities are available before and during the SoCal Harvest and are listed below. For more information, contact Laura McGowan at (847) 347-5206 or at [email protected]. Capture b-roll and interview Harvest Crusade staff about Steve McQueen Bullitt car, Saturday, August 19 (after 3 p.m.) and Sunday, August 20. Interview local attendees, volunteers, and Harvest Crusade staff; capture b-roll of attendees, Greg Laurie, and musicians, Friday, August 18 – Sunday, August 20. The SoCal Harvest will conclude with a fireworks display over Angel Stadium on Sunday, August 20. The 2017 SoCal Harvest begins at 7 p.m. each evening, August 18 – August 20 (gates open at 5 p.m.) and is completely free of charge. Angel Stadium charges $15 for car parking and $30 for bus parking. Each night of the event will be interpreted in Spanish and signing for the deaf will be provided. All three nights of the 2017 SoCal Harvest will be broadcast live via the Internet at harvest.org and daily blog accounts of the crusade will also be made available. Updates about the Harvest outreach will be posted on Facebook (www.facebook.com/harvestcrusades), Instagram (harvestcrusades or search #HarvestSoCal) and Twitter (@harvest_events). MEDIA NOTE: To arrange an interview with a Harvest Crusade representative, contact Laura McGowan at (847) 347-5206 or at [email protected]. For more information or photos, visit the Harvest Newsroom at www.harvest.org/newsroom. This entry was posted in 2017, Press Releases on August 18, 2017 by Laura McGowan. RIVERSIDE, Calif., July 25, 2017 — Pastor Greg Laurie’s annual Harvest Crusade outreach will return to Angel Stadium of Anaheim again this year, August 18 – 20, bringing a timeless message of hope to area residents. The 2017 SoCal Harvest will feature a nightly message from Southern California pastor and evangelist Greg Laurie and music from top Christian artists including Crowder, Grammy Award-winning hip hop artist Lecrae, Jeremy Camp, American Idol winner Jordin Sparks, Andy Mineo, American Idol finalist Danny Gokey, NBC’s The Voice finalist Brennley Brown, and worship leader Phil Wickham (artists vary by night). According to Laurie, the need for evangelism is more important than ever before. “Despite the divisions and distractions dividing our nation and disorienting our culture, I believe that the gospel of Jesus Christ remains the hope of the world and is more needed in our nation now than at almost any other point in our history,” he said. That’s why this year’s Crusade is preceded by an ambitious evangelism training program in the weeks preceding the SoCal Harvest. As Laurie notes, “Jesus did not say that the whole world should go to church. He said that the church should go to the whole world.” Laurie’s Tell Someone Events are a series of rallies held across Orange County, the Inland Empire, and Los Angeles designed to provide tools and training for people interested in sharing their faith with others. This year, as many as 10,000 people are expected to go through the training at area churches, July 26 – August 3. The 2017 SoCal Harvest comes on the heels of Harvest’s largest outreach to date—a one-night event held on June 11 called Harvest America, which drew a combined audience of nearly 945,000 people. A crowd of 38,000 packed the University of Phoenix Stadium to listen to Greg Laurie in person, while another 907,000 — from coast to coast and around the world — watched or listened to the simulcast via the web, Trinity Broadcasting Network, the 3,700 plus HarvestAmerica.com host sites, and on Facebook Live. The 2017 SoCal Harvest begins at 7 p.m. each evening (gates open at 5 p.m.) and is free of charge. Angel Stadium of Anaheim charges $15 for parking fees for cars and $30 for buses. Each night the event will be interpreted in Spanish and signing for the deaf will be provided. All three nights of the 2017 SoCal Harvest will be broadcast live via the Internet at www.harvest.org, and daily blog accounts of the crusade will also be made available. Updates about the Harvest outreach will be posted on Facebook (www.facebook.com/harvestcrusades), Instagram (harvestcrusades or search #HarvestSoCal) and Twitter (@harvest_events). All events will take place at Angel Stadium of Anaheim and are free and open to the public. Doors open at 5 p.m. each day. Music from Crowder, Andy Mineo, and Phil Wickham. Saturday, August 19, 7 p.m.
Music from Lecrae, Jeremy Camp, and Phil Wickham. Sunday, August 20, 7 p.m.
Music from Jordin Sparks, Danny Gokey, Brennley Brown and Phil Wickham. This entry was posted in 2017, Press Releases on July 26, 2017 by Laura McGowan. 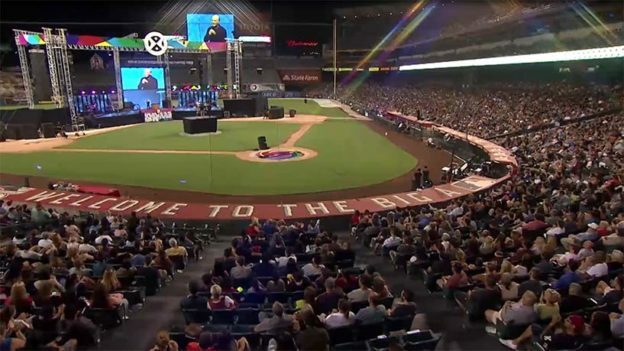 38,000 packed the University of Phoenix Stadium to listen to Greg Laurie on June 11, while more than 660,000 joined live via the Trinity Broadcasting Network, 246,647 tuned in live through the webcast, the 3,700 plus HarvestAmerica.com host sites and on Facebook Live. RIVERSIDE, Calif., June 23, 2017—Harvest America, led by Evangelist Greg Laurie at the University of Phoenix Stadium on June 11, impacted nearly 945,000 people worldwide with a message of God’s good news. An audience of 38,000 people from across the country packed the stadium, while more than 907,000 people in America and in 83 countries tuned in to the live broadcast of the event. “Two thousand years ago, God sent His Son on a rescue operation to planet earth,” said Laurie to the assembled crowd in the University of Phoenix Stadium and those watching online. At the end of the evening, 2,904 people walked down to the floor of the University of Phoenix Stadium to indicate their decision to follow Jesus Christ. It is estimated that 4,324 made commitments online or at host locations nationwide. An additional 310 made a profession of faith through outreach events in the Phoenix area the day before the event, bringing the total to 7,538 who put their faith in Jesus through Harvest America. All who responded and requested spiritual help are being thoroughly and immediately followed up with by both local churches and by Harvest. Producing “lasting fruit” through the mechanism of the local church has always been at the heart of every Harvest evangelistic event. Harvest Crusades with Greg Laurie will hold its next outreach, 2017 SoCal Harvest, at Angel Stadium in Anaheim, California, Aug. 18–20. On June 10, 2018, Harvest Crusades will take Harvest America back to the Dallas Metroplex. For complete details on results please visit. https://www.harvest.org/crusades-and-events/past-events. Pastor Greg Laurie is the author of more than 70 books; is the creator of 3 feature films; hosts the nationally syndicated radio broadcast, A New Beginning; and is the founder of Harvest Crusades, a large-scale evangelistic ministry attended by more than 7.7 people worldwide, both in-person in stadiums & arenas across the U.S., Canada, Australia & New Zealand, and via live satellite broadcasts. A recap video of Harvest America and the impact of the event weekend is available here. This entry was posted in Press Releases on June 23, 2017 by Laura McGowan.